The Campden Cocktail has been around at least since Prohibition, but has been generally disregarded. I first encountered it in Robert Grimes’s Straight Up or on the Rocks , but I can find nothing about its history other than its 1930 appearance in The Savoy Cocktail Book . It is rarely included in drink listings. Curious (and suspicious) at this neglect, I mixed some up. 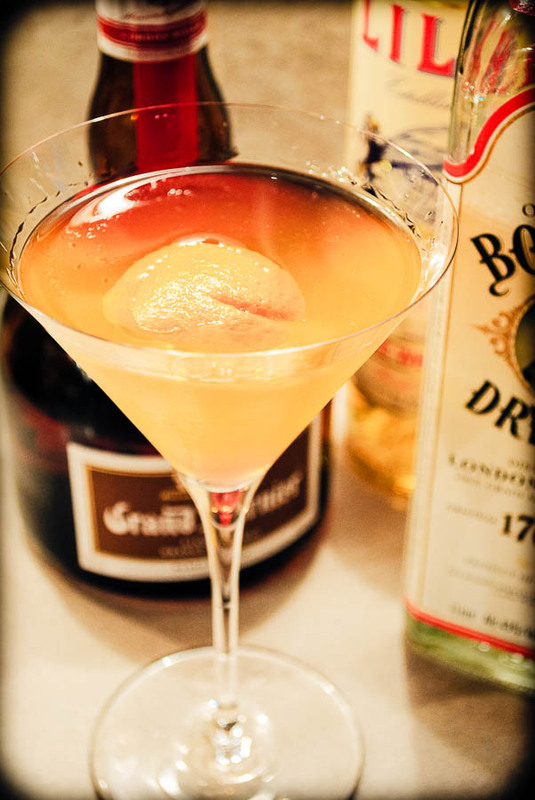 Grimes’s recipe is based directly on the proportions outlined in Savoy —2:1:1 with gin, Lillet, and Cointreau. Its problem is just what you’d suspect: the recipe, taken literally, is too sweet, with nothing to balance the overbearing Cointreau. It is easy to see why the drink fell into obscurity and disrespect. I wish I knew more of the Campden’s history, since I suspect the heavy dosing of triple sec is an attempt to cover for noisome Prohibition gin. The use of Lillet instead of the more obvious dry vermouth also seems a little upscale here, but perhaps it’s the result of some post-Repeal gilding on the Savoy’s part. Stir with ice, and strain into a chilled cocktail glass. The Savoy does not specify a garnish, but lemon or orange gives a pleasant preparation. The Campden isn’t contending for “favorite gin drink” status, but this altered version is much better than the original formulation would suggest. It should be small and very cold, and as such presents a quick refresher for a sunny spring evening. “The Campden Cocktail” at cold-glass.com : All text and photos © 2010 Douglas M. Ford. All rights reserved. Even with your modifications, the Campden sounded a bit sweet. It occurred to me that the original might have used Kina Lillet, so I substituted Cocchi Americano for the Lillet Blanc. It’s a lovely drink. Will have to try the Lillet Blanc version to compare. There’s always more to research, thank goodness. “Always more to research,” that’s for sure. I should give the Campden a try with Cocchi Americano, good idea. Thanks. I created a somewhat similar drink, but with Cherry Heering instead of Grand Marnier, making a pink-colored Vesper Martini that I call “La Vie en Rose”. Recipe is 2 1/2 oz Gin, 1/2 oz Lillet Blanc, a bar spoon of Cherry Heering. Garnish with a lemon twist. A different fruit profile, certainly, swapping cherry for orange. Changing the proportions to 5:1 (from the 2:1 listed in the story) certainly would be another way to cut the drink’s sweetness, too. I look forward to trying your formula, thanks.